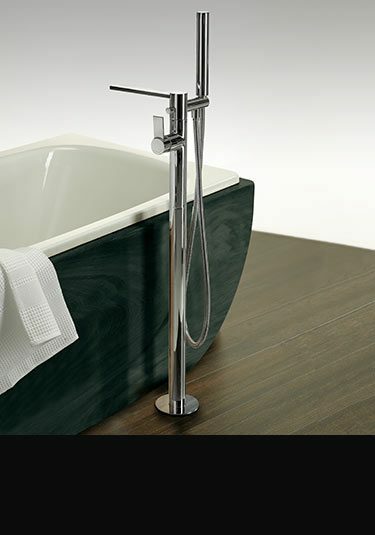 Italian manufactured and design bathroom taps styled for the latest contemporary bathrooms. 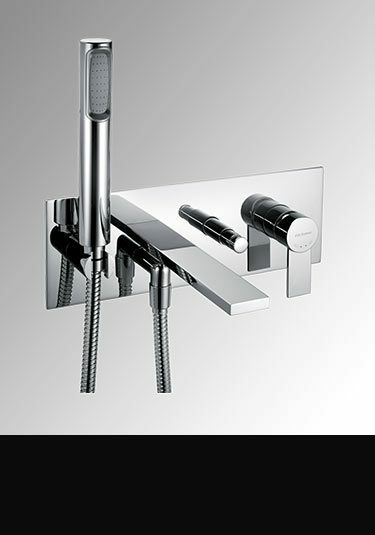 Within this exclusive collection of luxury taps and shower fittings, we can supply wall mounted and deck mounted basin taps in single lever, mixer and 3 hole designs, bath fillers that are wall hung, deck mounted and freestanding from the floor, and to match we offer complimenting rain and waterfall shower heads and manual and thermostatic shower valves that are recessed into the wall. 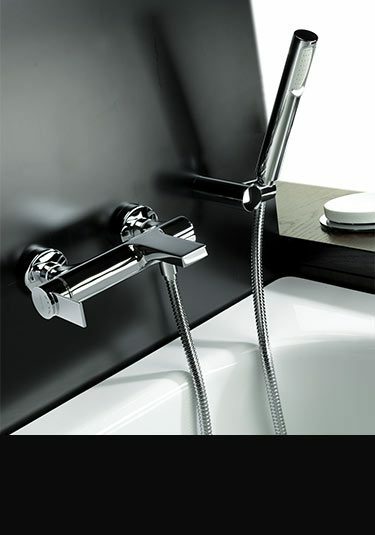 An Italian designer wash basin mixer tap that is made of luxury brass with a smooth chrome plated finish. 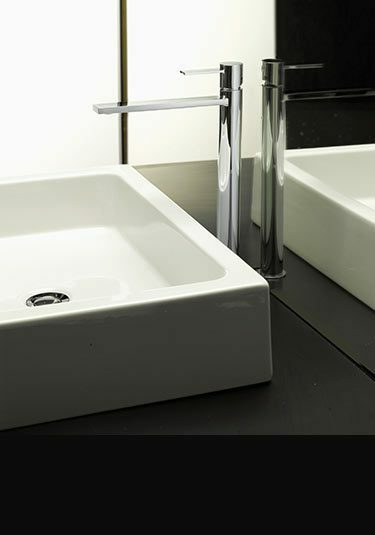 This slim basin tap has nice simple contemporary styling which suits so well in minimalist bathroom design. A less is more design. 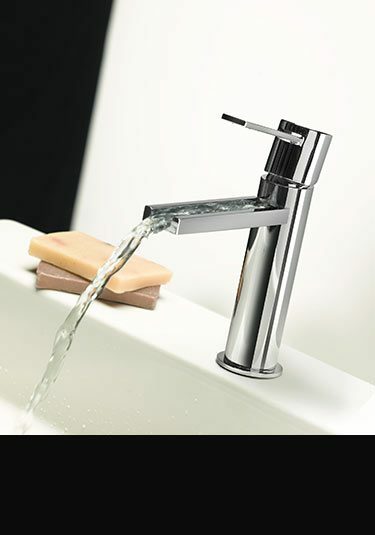 A contemporary extended basin mixer tap with lovely slim water spout. 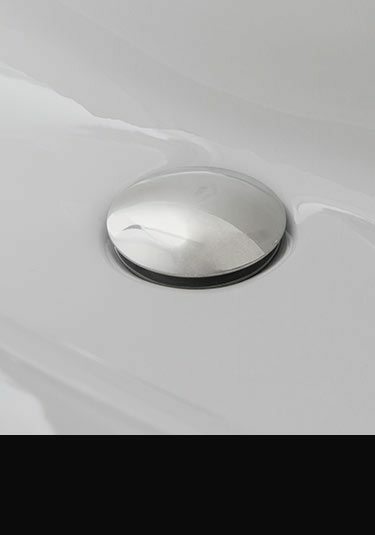 This tall tap is specifically designed for counter top wash basins and wash bowls. 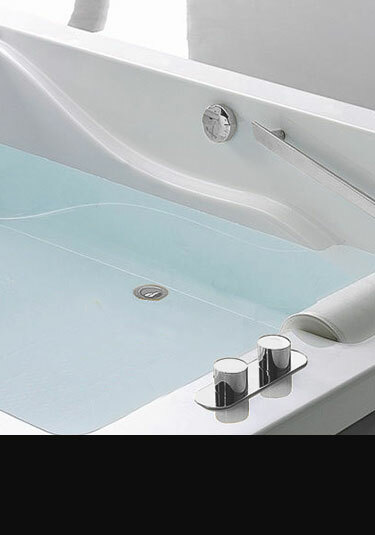 Italian designed and manufactured, ensuring best quality. 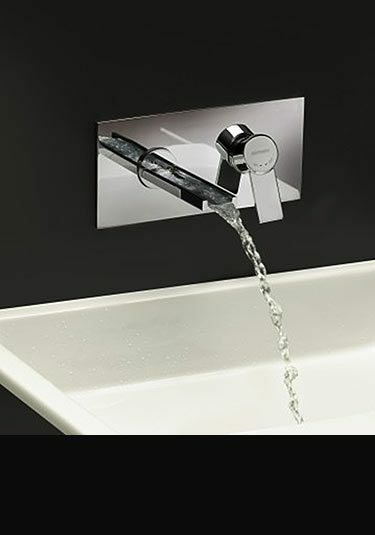 A basin mixer tap with a cascading waterfall spout. 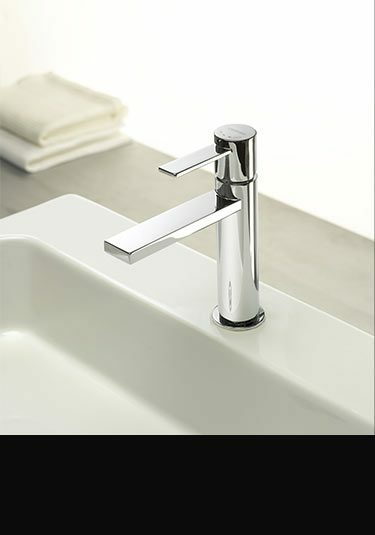 This designer tap is Italian high quality manufacture and with its open spout design, makes a lovely design theme to exclusive contemporary styled bathrooms. 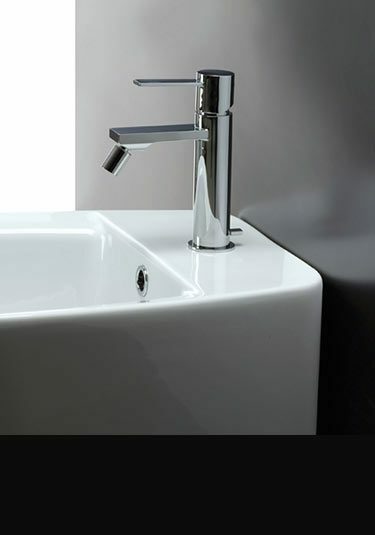 An Italian designer tall wash basin mixer tap, specifically designed for counter top basins and wash bowls. With its attractive open waterfall spout, this extended basin filler is single lever controlled for the easy mixing of the hot and cold water. 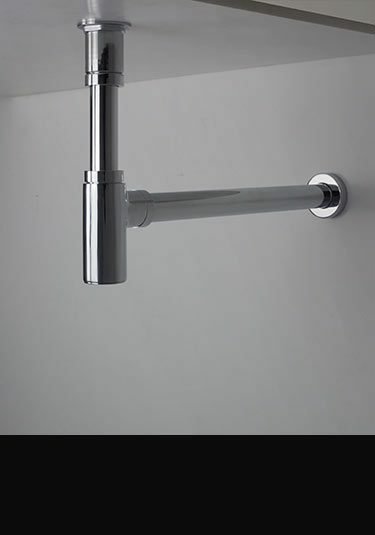 This wall mounted basin tap has a contemporary flush mounted chrome backplate with a single lever mixer, operating the slim square water spout. 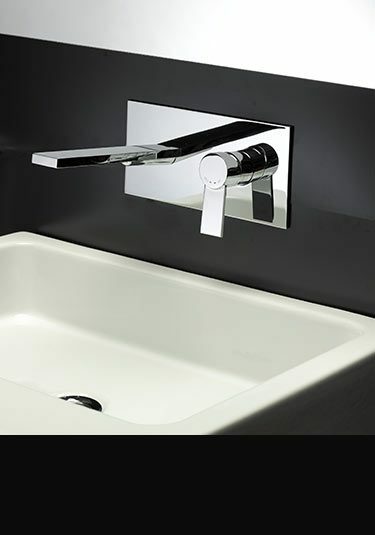 Designed by a luxury Italian tap manufacturer this high quality basin filler is a stylish addition to top end bathroom design. Italian designed and luxury quality, this wall mounted basin tap has a lovely open waterfall spout for tranquil wash basin filling. Each waterfall basin filler is designed for flush wall fitting and is made of solid brass with thick chrome plating. 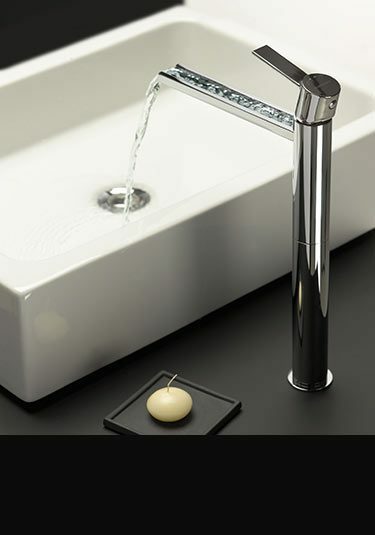 Contemporary styled bidet tap designed and made in Italy. Part of a full designer tap fitting collection. 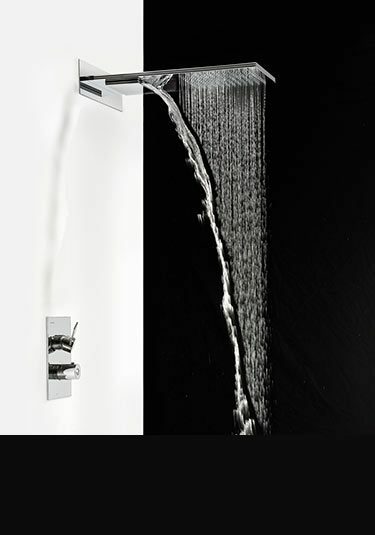 Luxury manufactured, this designer shower head has the 2 showering functions of waterfall and rain pattern. Designed and made in Italy in the best quality solid brass with a smooth but thick chrome plated finish. Requires a 2 function shower control to operate. This manual shower valve is Italian high quality manufacture. Designed to be recessed into the wall for smart flush fitting. This shower control valve is also available with a built in divertor allowing the control of 2 showering functions. 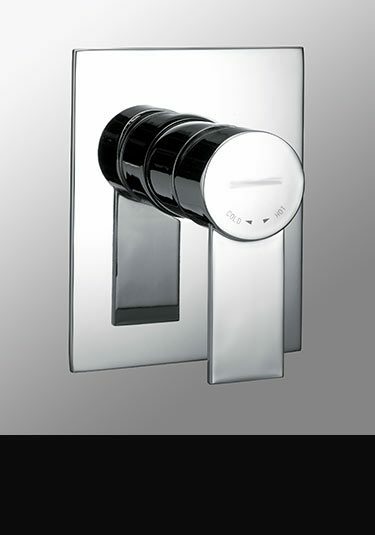 Italian manufactured shower control for 2 showering functions eg. fixed shower head and body jets. This multi-function shower valve is thermostatic controlled, which has a water temperature safety lock. Designed to be recessed into the wall for flush fitting this valve is made of solid brass this a chrome plated finish. 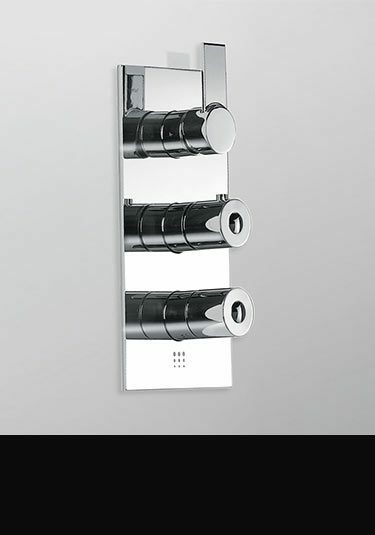 A European manufactured shower control valve that can operate 3 showering functions. 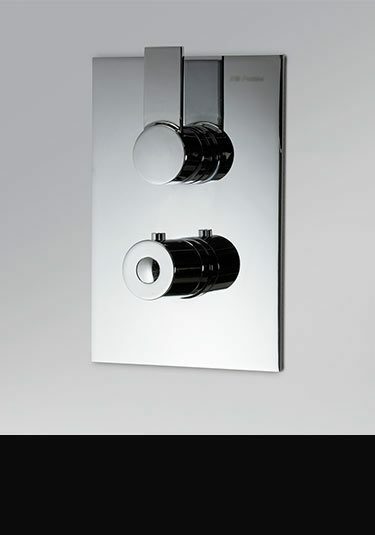 Designed for recessed into the wall installation this lovely quality thermostatically controlled shower valve is made of solid brass with a chrome plated finish.